written in Markdown!Check out the article! 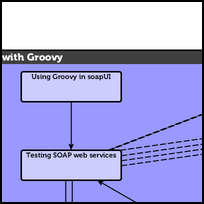 Groovy is an extremely powerful language yet simple and fun to use. 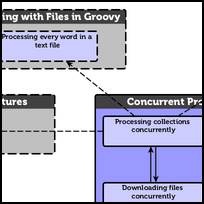 It can be used for simple scripting (like Python or bash) or for building complex application. 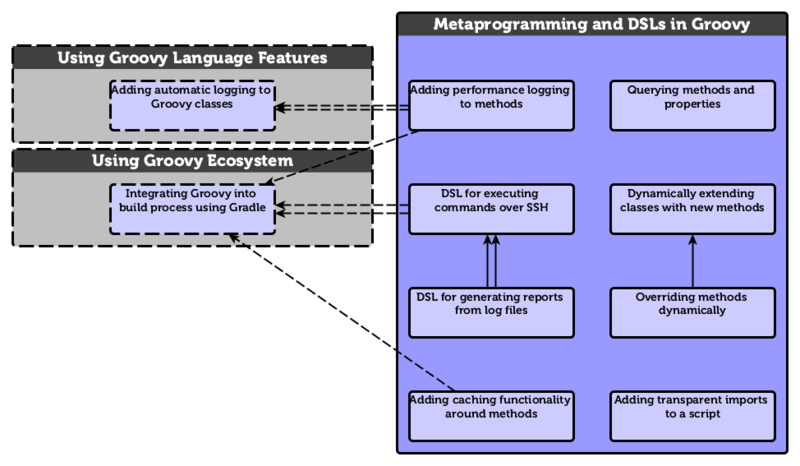 Run-time speed was used to be an issue, but with each release Groovy gets faster and close to native Java performances. 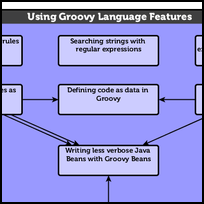 The language is not difficult to learn for someone with a Java background and after a bit it becomes clear that Groovy is more fun and productive than Java, mostly because of the excessive verbosity of the Java language. 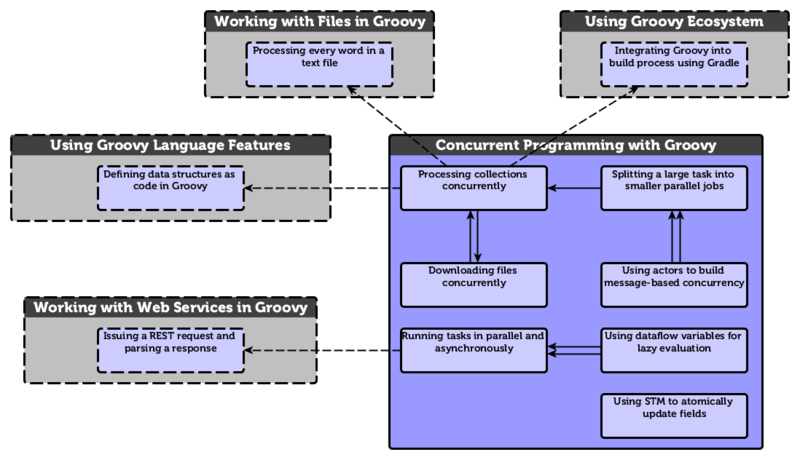 Furthermore, Groovy has features - such as closures - that allow Java developers to try out functional programming and get closer to languages like Scala or Clojure as well as Java 8. 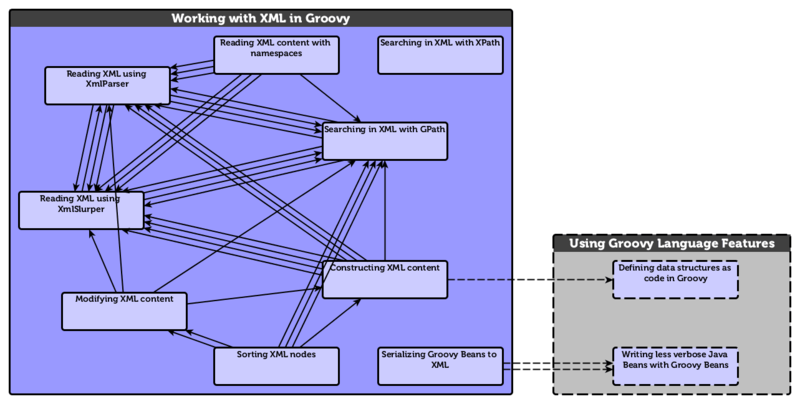 The book contains a number of recipes that put the language to work in different areas of software development and interesting new technologies, such as JSON/REST, DSL, NoSQL. 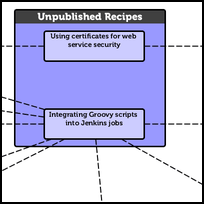 Also, there are non-trivial recipes that can actually be used in real life development. Why would I read this book? 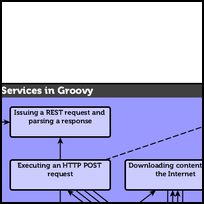 Groovy cookbook is definitively an interesting read for developers who are attracted by the “getting things done” approach and are ready to get their hands dirty without much ceremony. 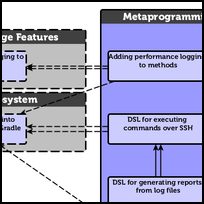 The recipes in the book can help new developers to get acquainted with the language and experienced ones to access advanced features. No need to explicitly write getters and setters, or default constructors. The sheer brevity of this is so noffty. A good cookbook will help you learn something quickly, or guide you to solve a problem in simpler way. If you are, like me, new to dynamic languages, this book will show you quickly what a dynamic language has to offer. You will definitely learn many useful things from this book. 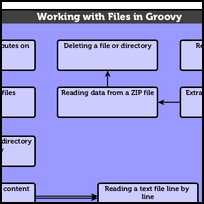 I found this book an excellent resource for my work writing groovy scripts. 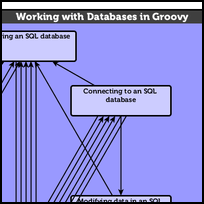 This new book does a good job of explaining about recent Groovy developments such as Grape, Gradle, JSON and NoSQL support. 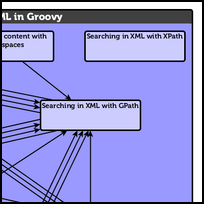 If you would like to have a chance to know the power of Groovy 2, this book definitely will give it to you. 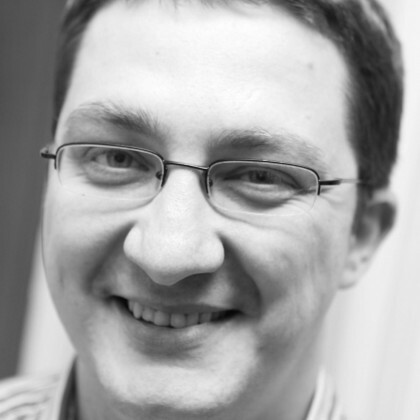 Luciano Fiandesio is a programmer, technology enthusiast and entrepreneur living in Zurich, Switzerland. 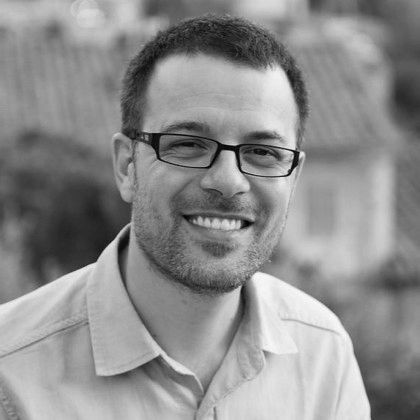 Luciano has been working for the last 18 years in 12 different countries as architect and developer for large corporations and small start-ups: Nokia, European Central Bank, BNP Paribas, Ericsson are among his clients. He loves coding and designing solutions that are both elegant and rock solid. When not busy learning the next big thing, he likes playing with his analogue cameras and cooking Italian food. He holds a Master Degree in Literature and Philosophy from Rome University. 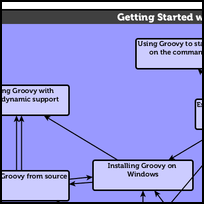 Luciano has been using early versions of Groovy since 2005 to simplify the development of a B2B application. 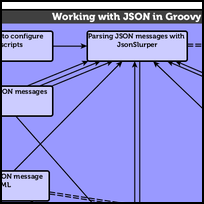 Since then Groovy (and Grails) has been an essential tool in his arsenal for accelerating the development process (and having fun coding). 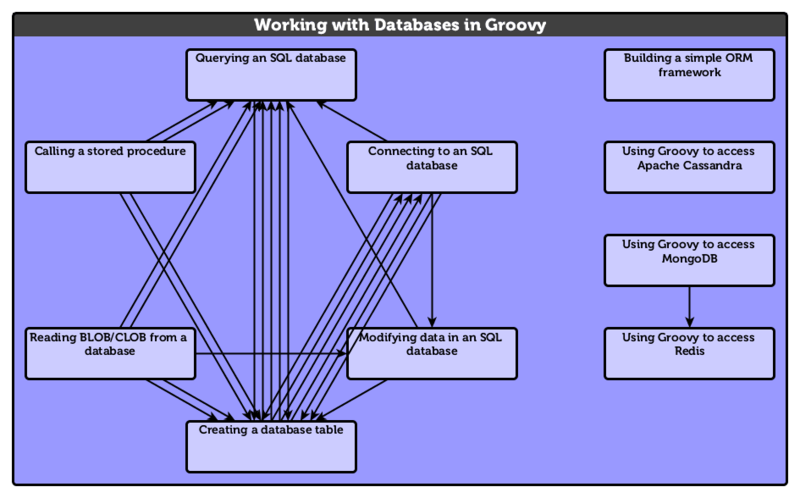 Luciano has deployed Groovy/Grails based solution in companies across Europe. 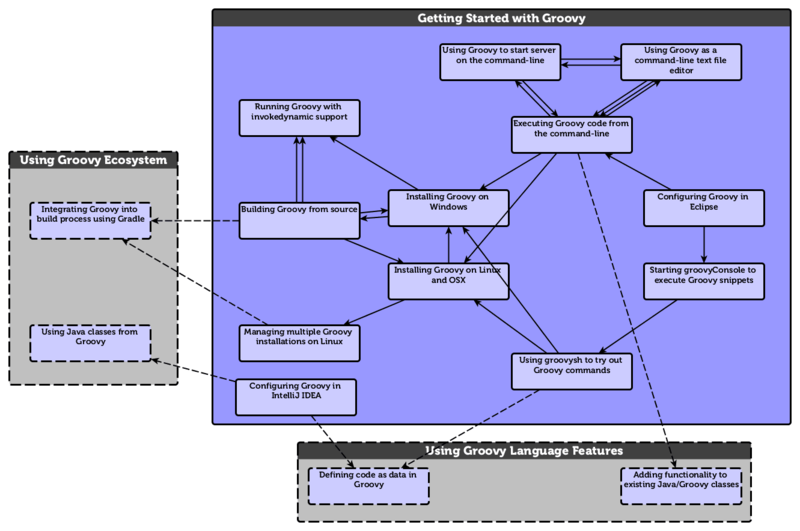 Andrey Adamovich is a long-time Groovy user and has a deep knowledge of the language internals. 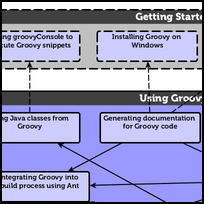 Andrey uses Groovy in his day to day development job for simplifying the development process, which includes: code generation, super cool DSLs, rapid prototyping. You can find more trainings on Aestas/IT website, or you can always contact us directly at [email protected]. Or send an e-mail to [email protected]. If you have found any errors you can use our errata form or erratta submission from on Packt's website to submit the correction. After the review, all corrections will be published shortly in the list of errata. Want to be on the bleeding edge? Subscribe to our newsletter, and we'll notify you, when we add new content. You can share this page! Copyright © 2012-2016 Aestas/IT. All rights reserved.